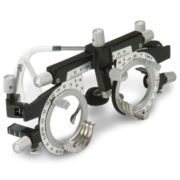 High-quality trial frames remain an essential tool in eye care practice. 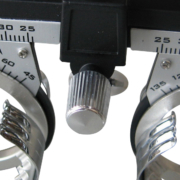 They reduce prescription remakes by giving patients an opportunity to experience their new glasses before paying for them. 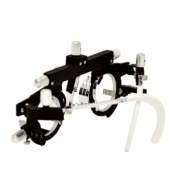 The TF-50 trial frame is a perfect choice for any dispensary. It is both versatile and completely adjustable. 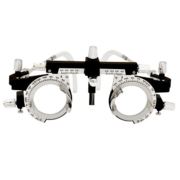 This high quality trial frame features soft ear rests and holds up to four lenses on each side. 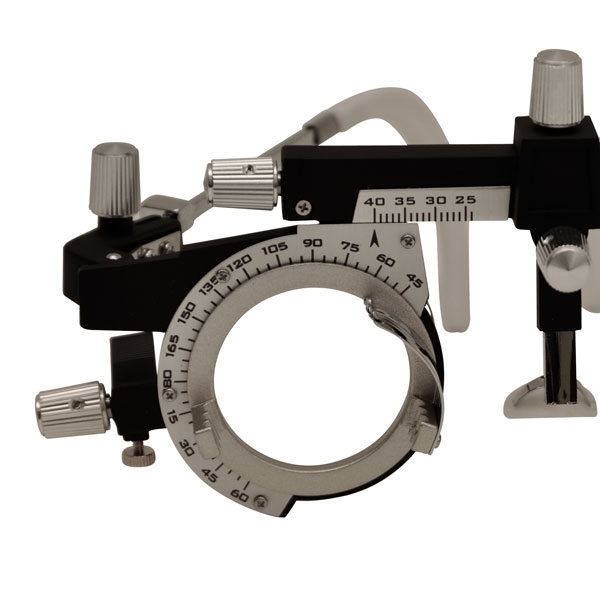 The TF-50 is an excellent trial frame at an outstanding value. 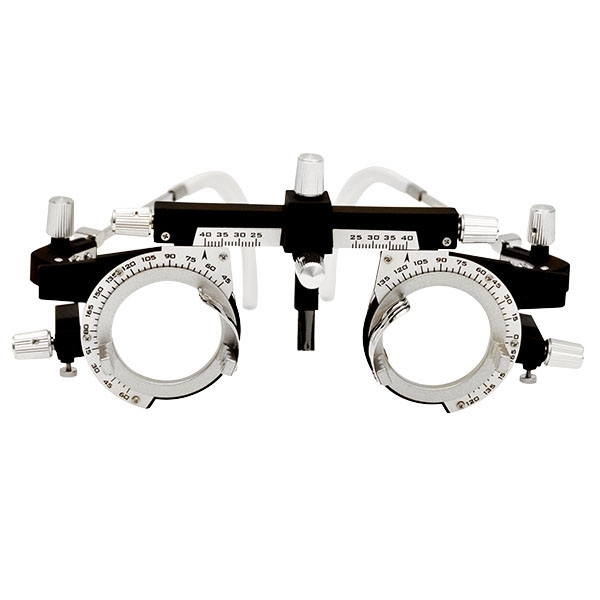 The high quality TF-50 Trial Frame holds up to four lenses on each side. 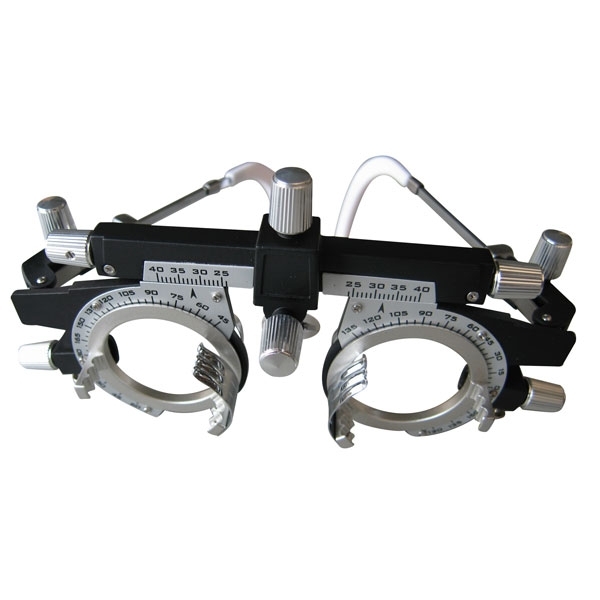 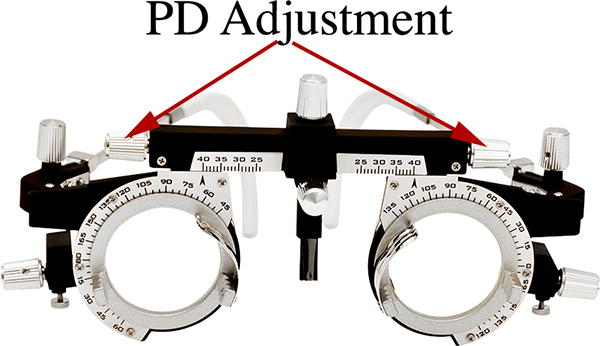 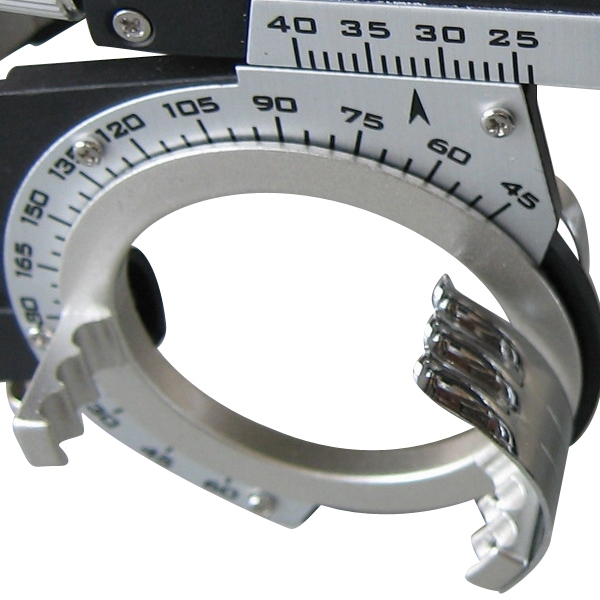 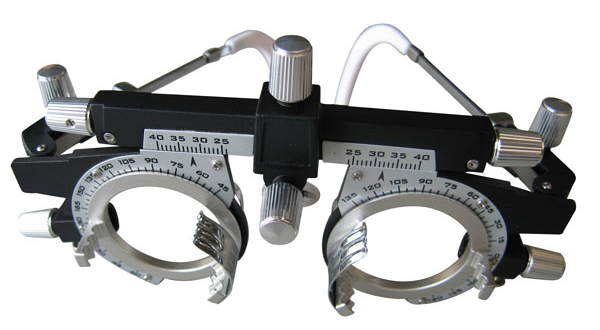 Both left and right pupillary distances can be adjusted on the TF-50 Frame. 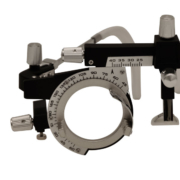 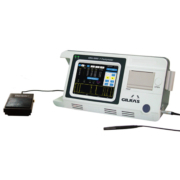 With the TF-50, you can ensure the best fit for an accurate trial prescription. 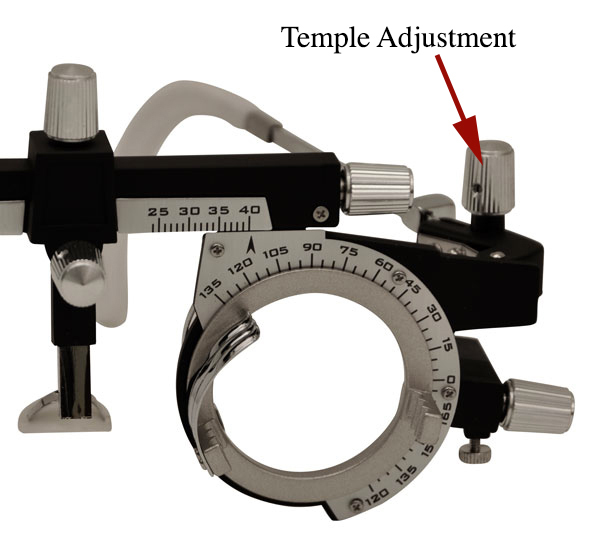 Simply adjust the frame temple’s length by gently pulling on the adjustment part until it is in a comfortable position. With the TF-50, you can even adjust the nose pad to best suit the patient’s bridge. 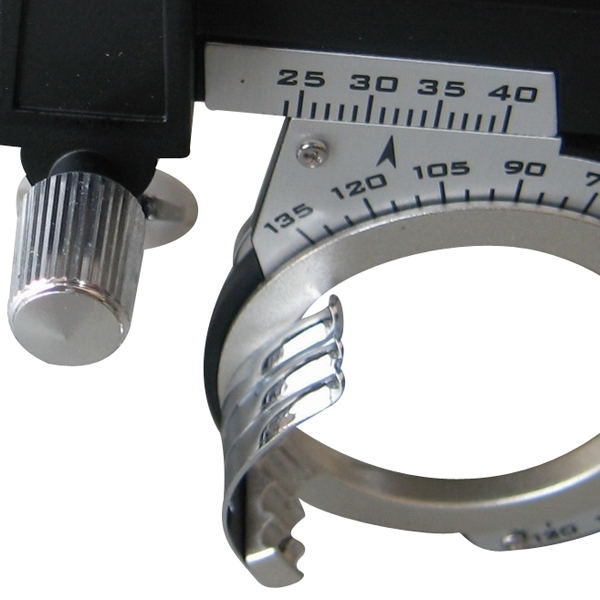 Adjustment knobs allow you to adjust nose pad length and angle. 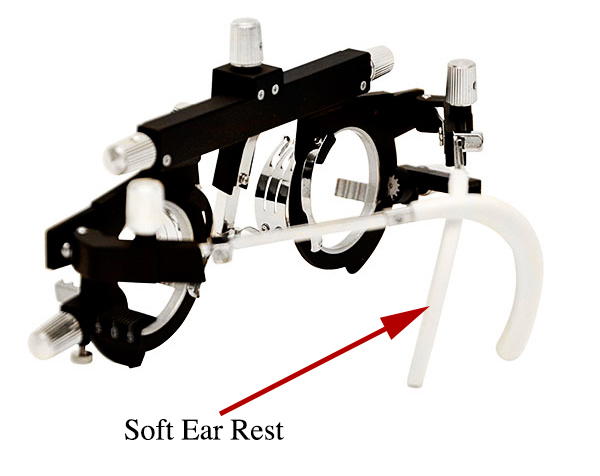 The TF-50 trial frame features a soft ear rest for patient comfort. 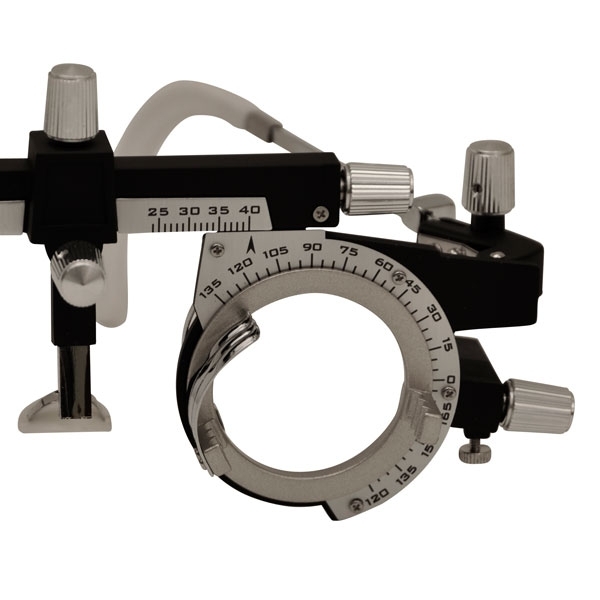 With the TF-50 trial frame, you can adjust the lens axis by rotating the astigmatic axis adjustment knob after the lenses are inserted.